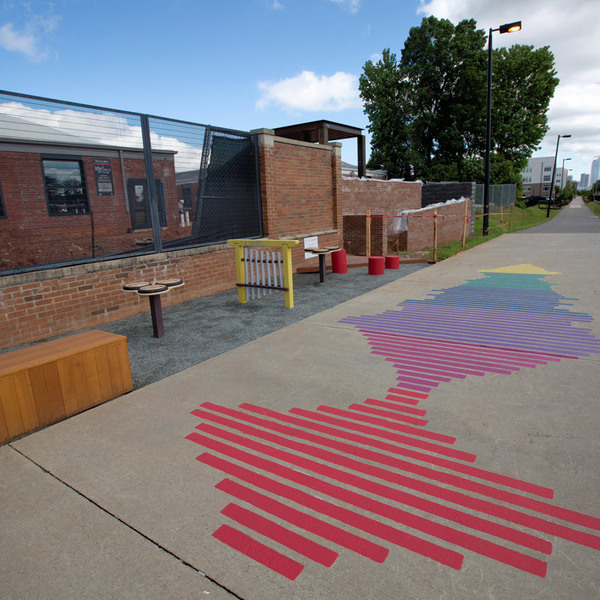 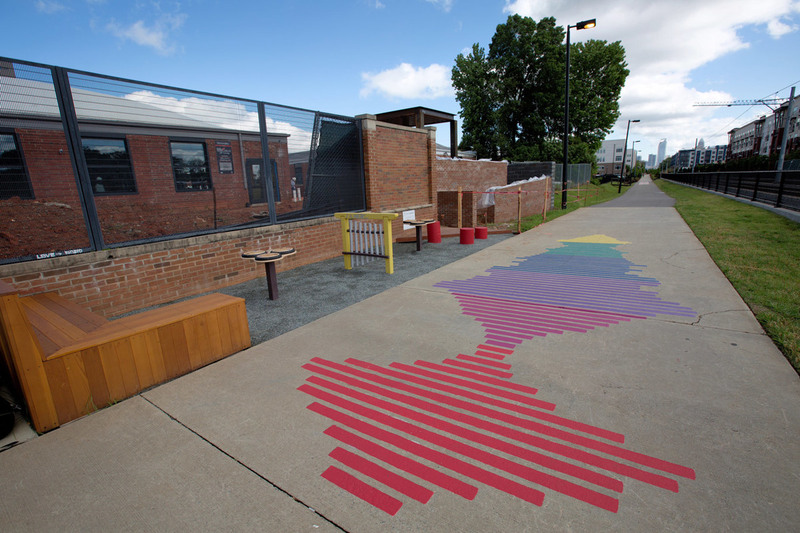 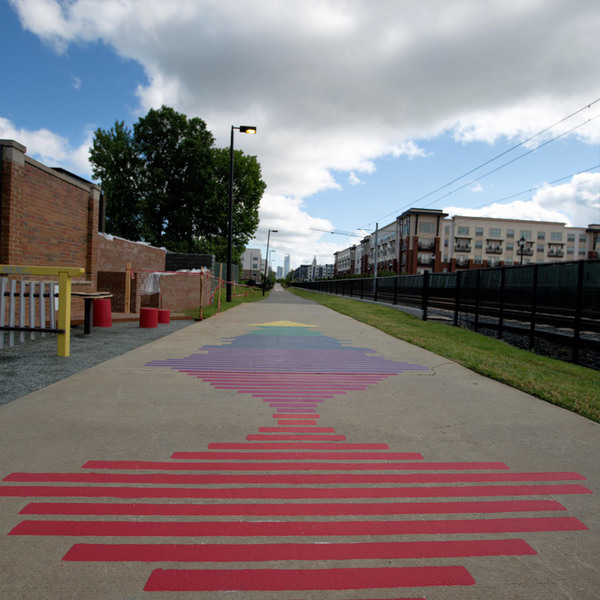 Rail Trail Symphony presents a unique opportunity for people to pause, linger and connect near the rail corridor in Charlotte, North Carolina. 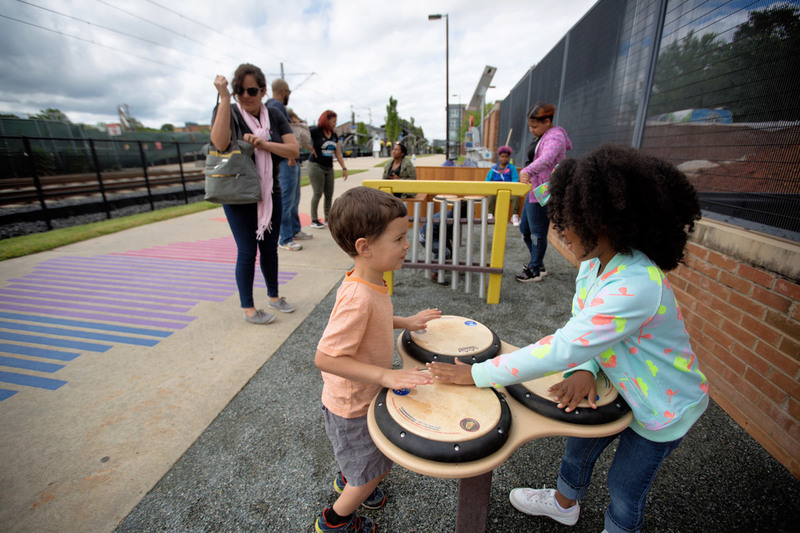 Next to a high-traffic pedestrian trail, bike-share and light rail station, a 7' x 29' patch of grass has become a lively place for self-expression and exercise of the mind and body. 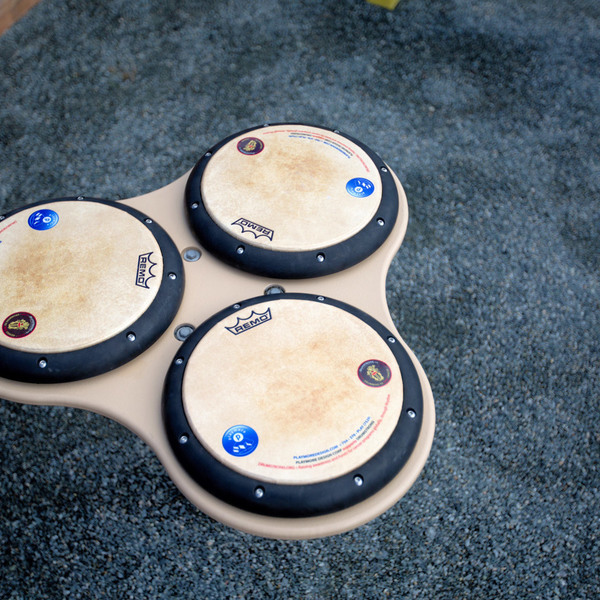 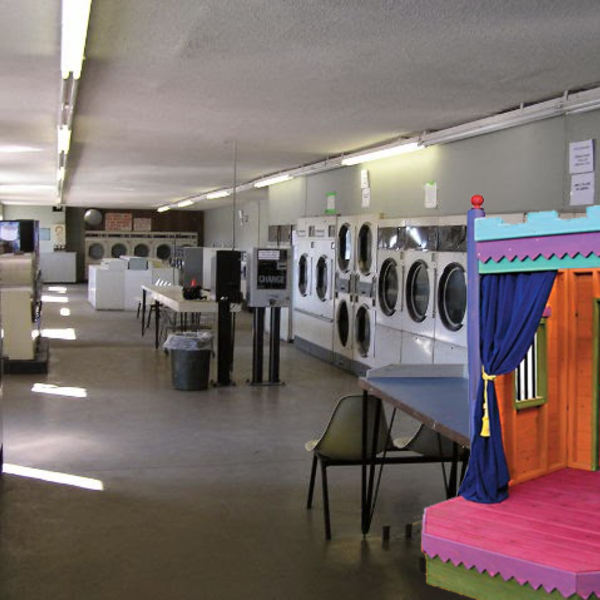 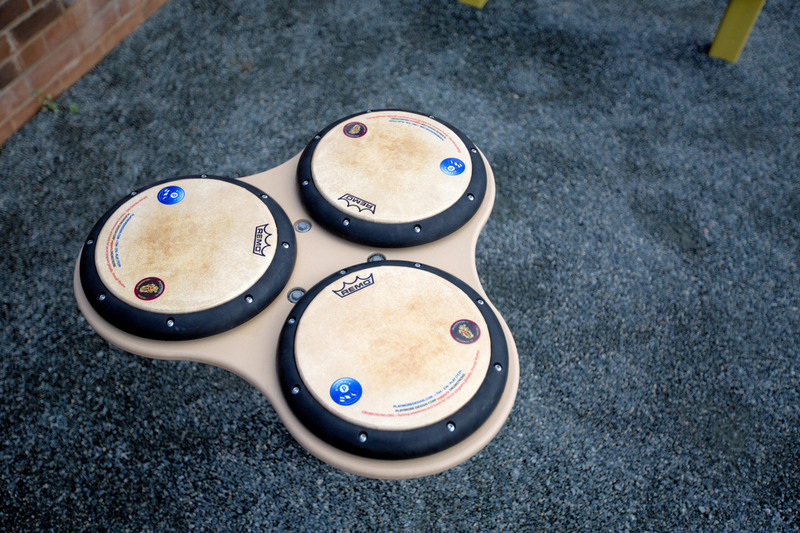 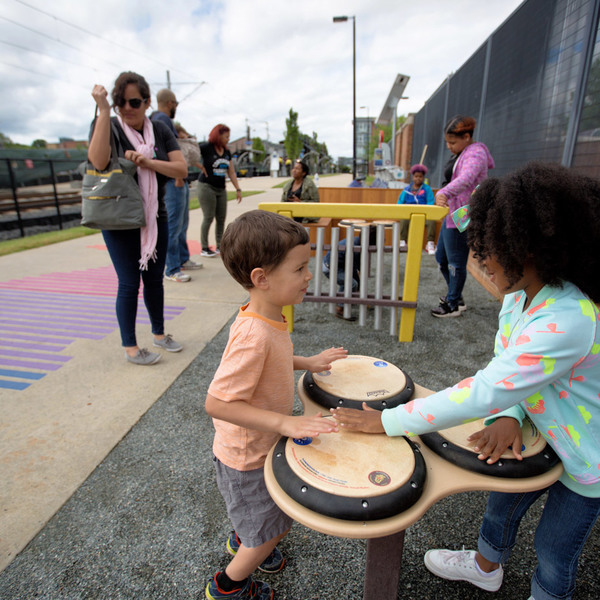 Kids and families can bang on drums and chimes, sing to passersby from a performance platform, scribble favorite lyrics and compose new melodies on a chalkboard, dance on imaginative stamped concrete and wave to the trains while jumping on creative seating. 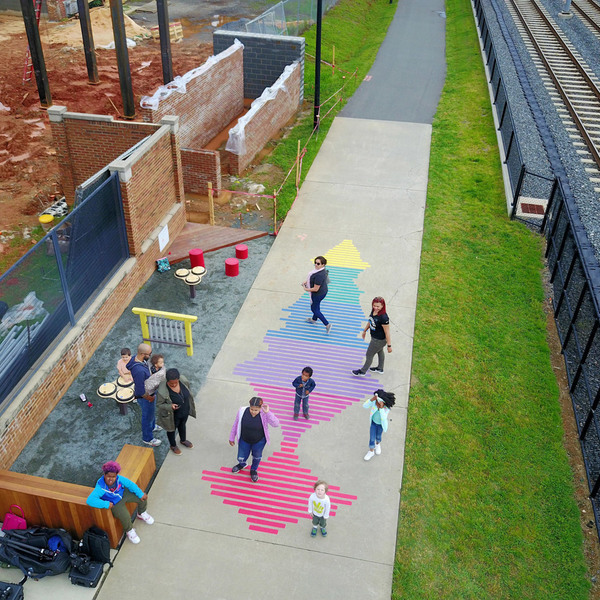 This ensemble of physical components facilitates fun, casual interactions and conducts a beautiful "sidewalk ballet" starring Charlotteans from all walks of life. 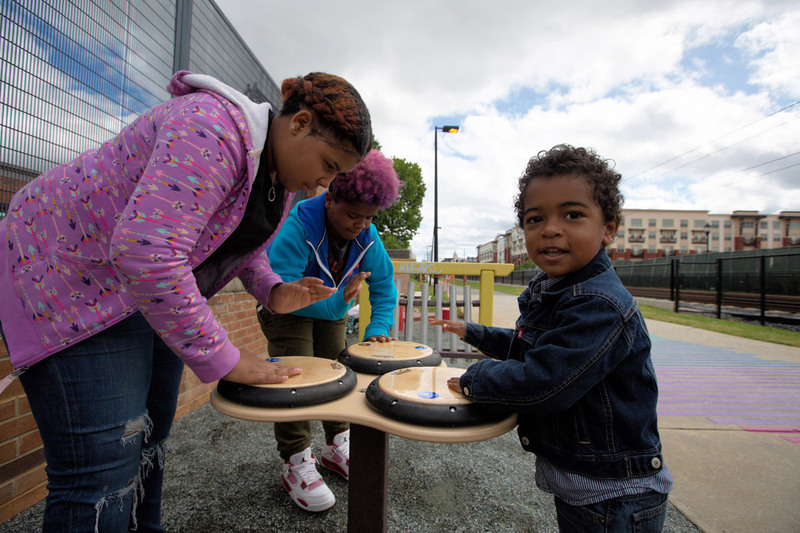 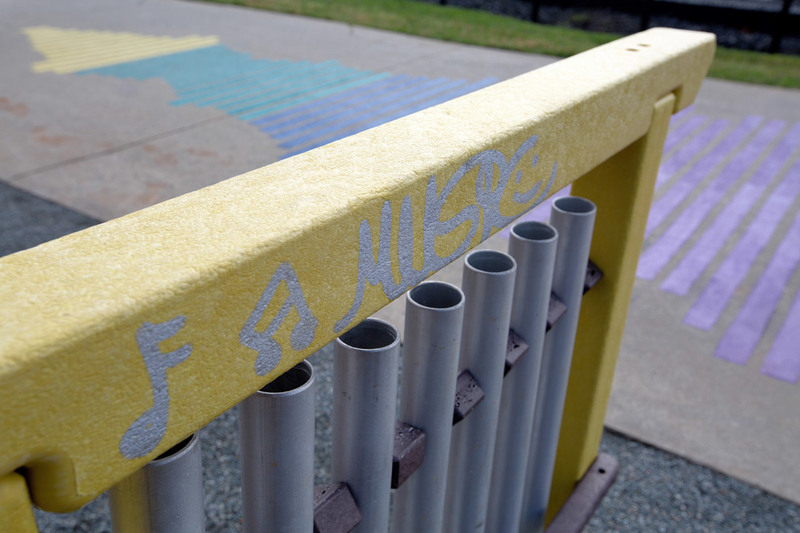 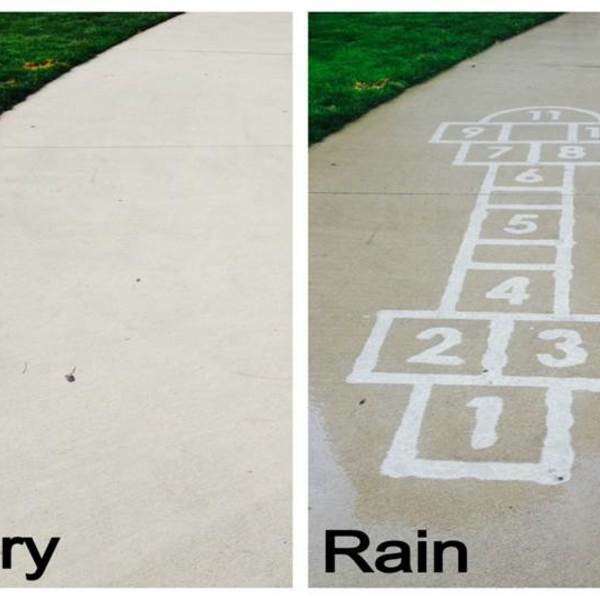 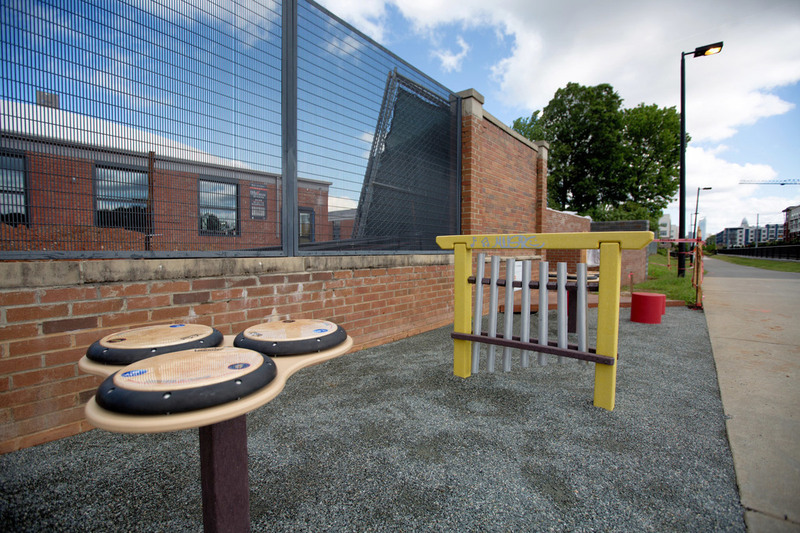 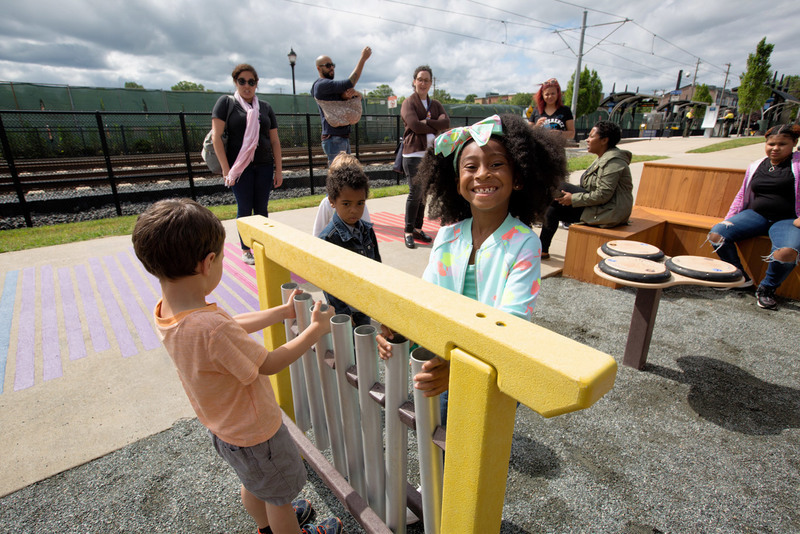 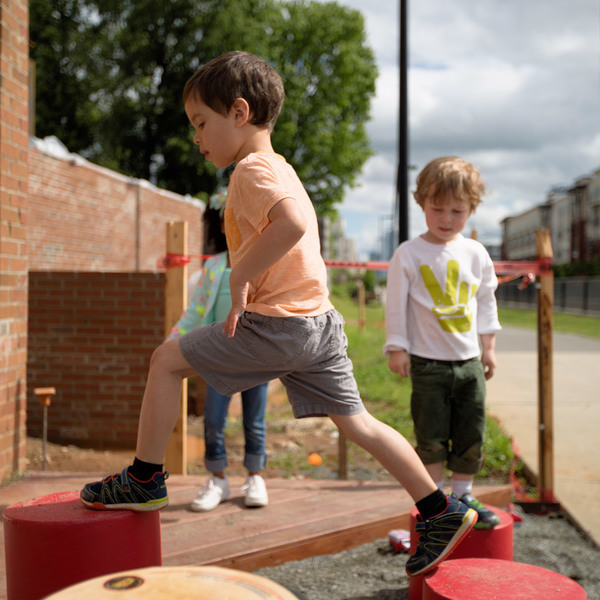 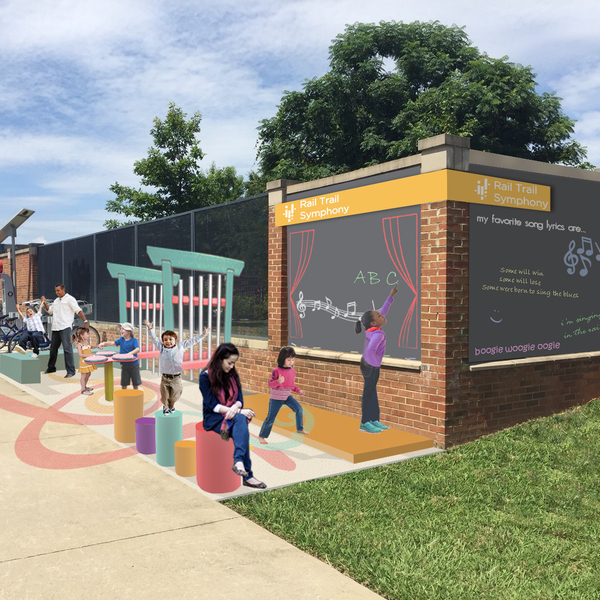 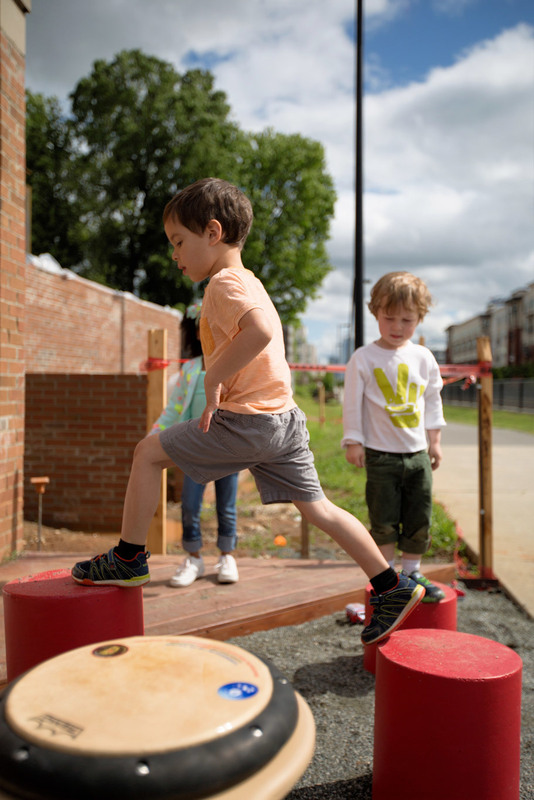 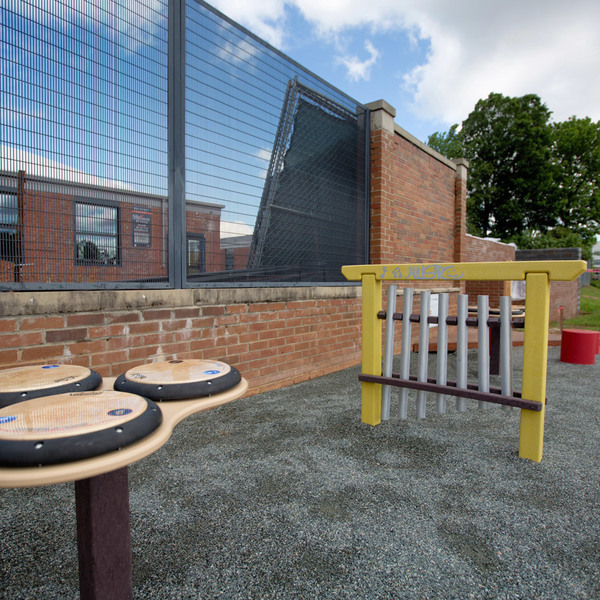 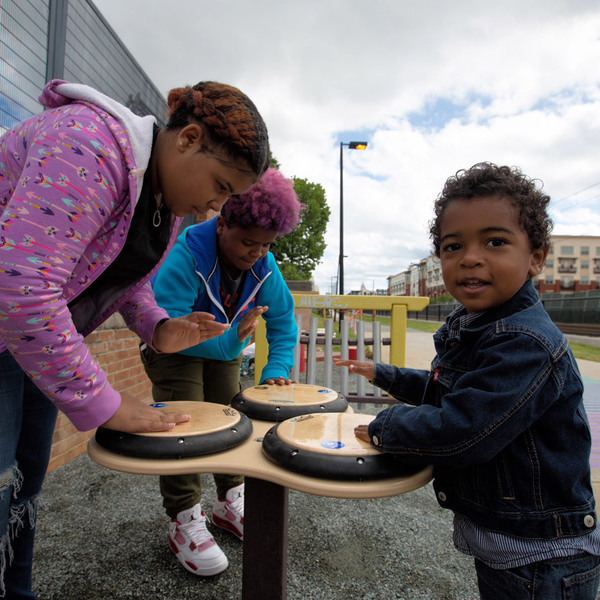 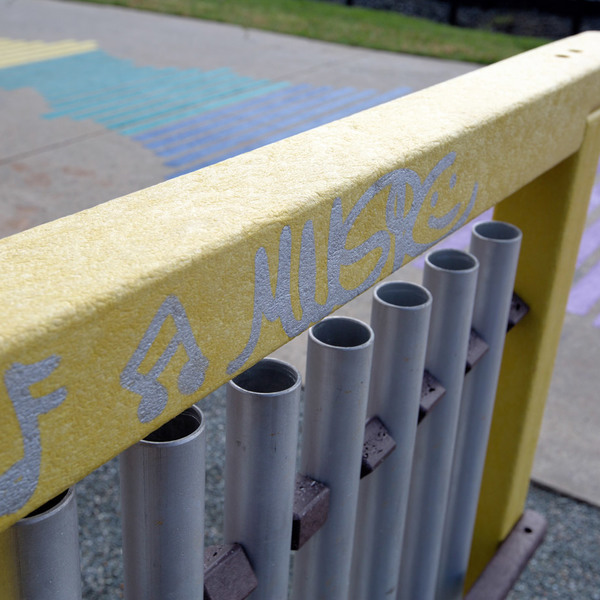 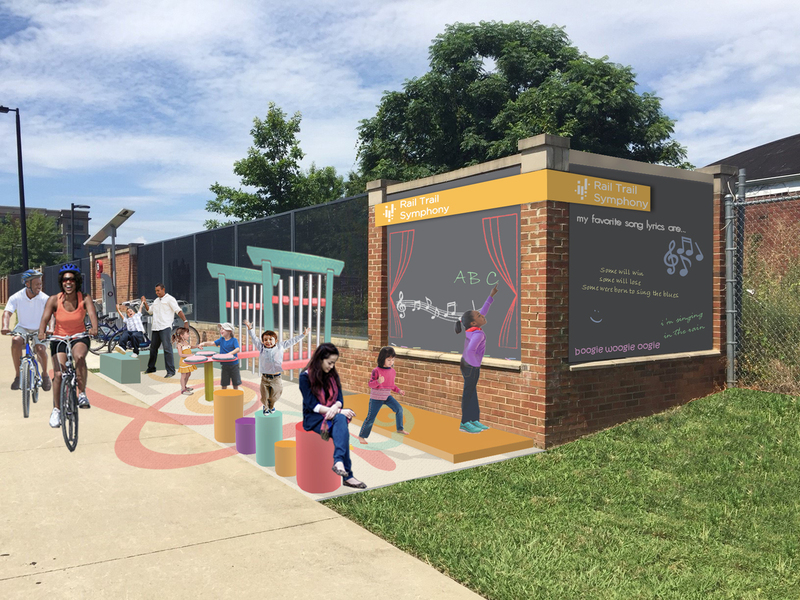 Easily accessible to a wide range of kids and families, Rail Trail Symphony invites play and fosters connections through the simple joy of making music. 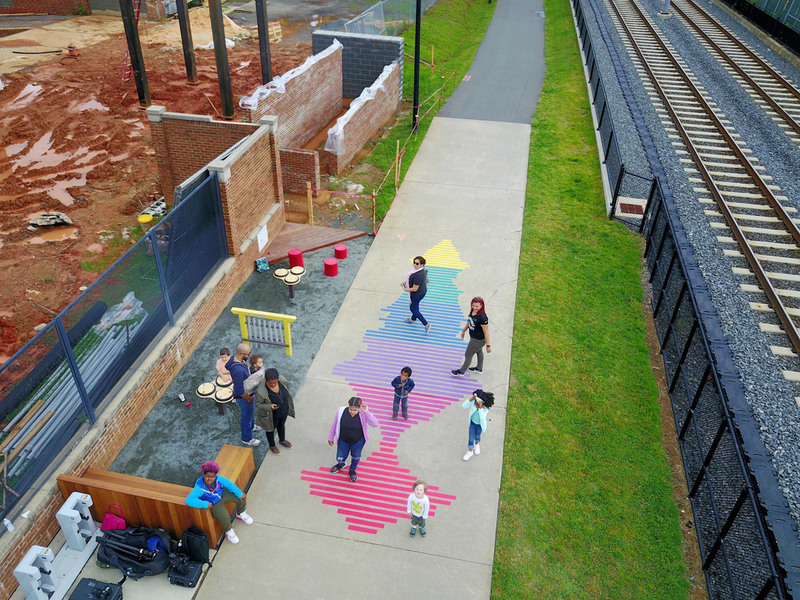 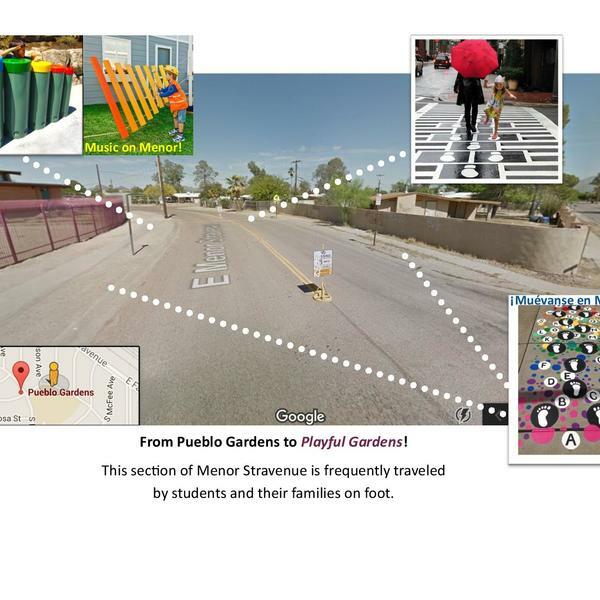 By creating nodes along the trail that are thoughtfully designed and provide seating and activity, Rail Trail Symphony enhances the public realm of the neighborhood. 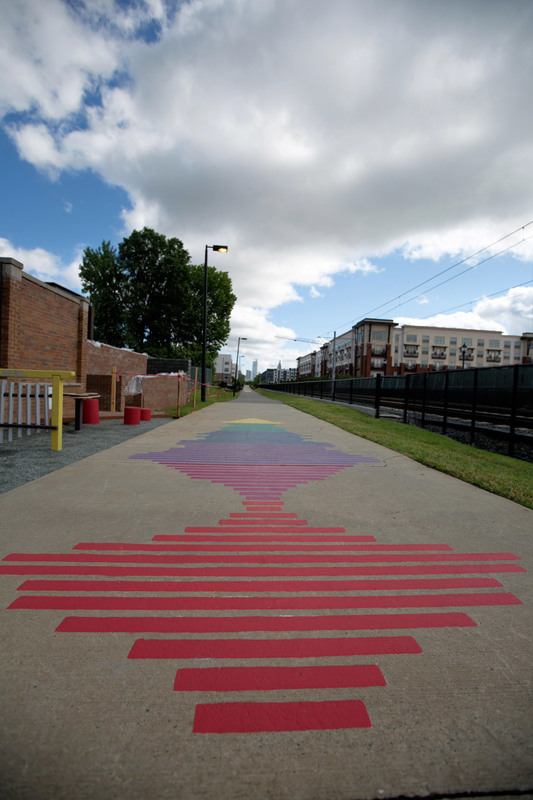 It has also helped inspire an adjacent property owner to enhance their own entrance to the trail.